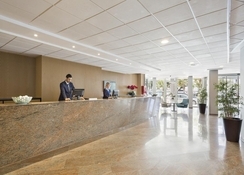 The Hotel Best Negresco is located a mere stone’s throw away from the nearest beach and has a varied amount of facilities on offer so you can enjoy your stay in Salou. 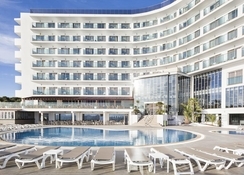 This includes an outdoor swimming pool that offers views of the sea, snack bar, buffet restaurant, entertainment programme as well as a spa where you can indulge in massage treatments or use the sauna, Turkish Bath or indoor pool. This family-friendly hotel has a mini club for children and a playground as well as a games room. 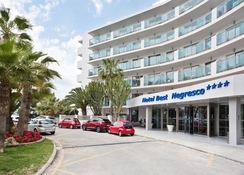 The Hotel Best Negresco is suited to all travelling parties such as couples, families with children and groups of friends who want to experience Salou this year. The Hotel Best Negresco is just a few hundred yards away from the nearest beach so you won’t have far to travel to take a dip in the sea. It’s also nearby to many great attractions which includes the PortAventura Theme Park (1.5 miles), Roman and Paleo-Christian Necropolis (5.5 miles) and Casa Golf Club (1.6 miles). The El Prat Airport in Barcelona in 50.5 miles away. 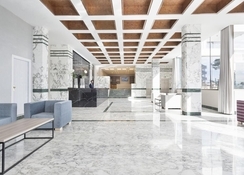 The Standard Double Rooms at the hotel can accommodate a range of different travelling parties including two adults, three adults, two adults and one child, two adults and two children or three adults and one child. All the rooms have air conditioning, minibar, safety deposit box, balcony or terrace as well as a TV. There is an on-site restaurant at the Hotel Best Negresco that serves local and international food and also offers show cooking. It is open for breakfast, lunch and dinner while you will also find a café, snack bar as well as a bar too. The local area has wide range of different eating and drinking options and the Carrer de Carles Buïgas area of Salou which is 1.5 miles away has a large variety of different restaurants and bars. There is a lot to do at the Hotel Best Negresco for all ages. 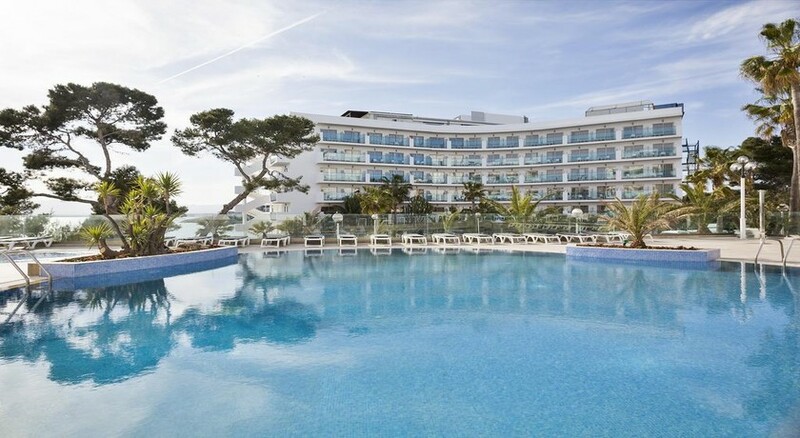 There is an outdoor pool as well as a separate childrens’ section or you can simply kick back and relax while soaking up the sun on the sun terrace. There is a spa at the property that features a Turkish Bath, indoor pool, beauty salon and sauna or you can enjoy a range of massage treatments too. Kids can head to the mini club for ages 5-12 and there is an entertainment programme for both children and adults. You will also find a games room, gym and facilities for table tennis and the world famous PortAventura Theme Park is only a short distance away from the hotel.